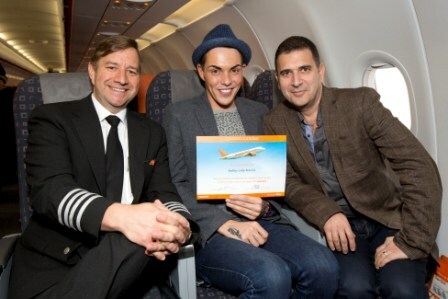 The Only Way is Essex star Bobby Cole Norris became the latest celebrity to beat his fear of flying at Stansted airport this weekend after attending easyJet’s Fearless Flyer course. TOWIE Bobby has suffered from a deep-routed flying phobia since he was a child, his dread of flying making every aeroplane journey a nightmare. That is, until he joined easyJet’s Fearless Flyer course and received expert help and information on the mechanics of flying and fear. 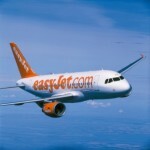 easyJet has successfully helped more than 1,000 phobics become Fearless Flyers since the course was launched in late 2012, ranging from extreme phobics who cannot even step foot on a plane, to those who experience mild nervousness. The course consisted of a three-hour ground session presented by top phobia expert Lawrence Leyton, star of Channel 4’s Fear of Flying programme and senior easyJet pilot – Captain Chris Foster. Together they teach participants a unique set of mind techniques which will change their perception of flying forever. They are on hand to explain what every noise, bang and whirling sound is at every stage of a flight. The following day, participants are taken on a special flight to put the skills they’ve learnt to the test.